In January, every Northwest School 6th grader adopts the life of a scientist, mathematician, or inventor. The interdisciplinary Tea Party Project combines science and Humanities as students research a scientist from ancient times to the present. 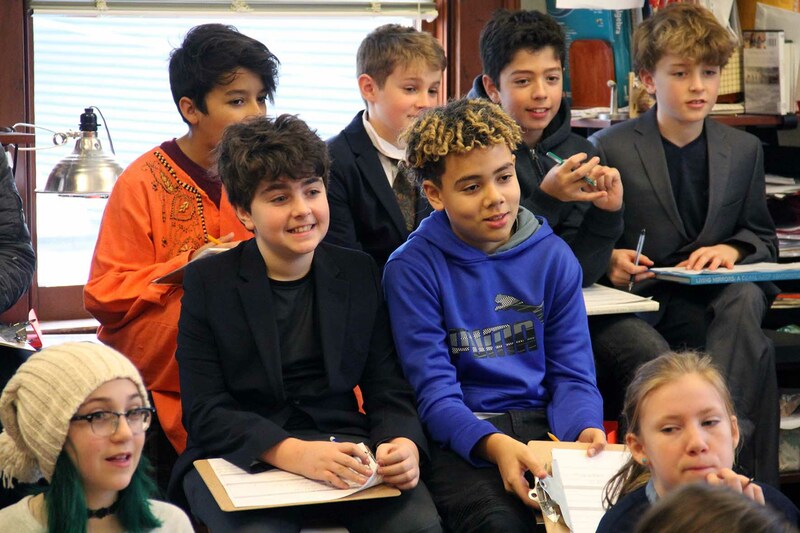 The research culminates with the students writing and performing a scene in which their researched individuals talk about their lives and find connections with each other. "It is interesting to learn about these scientists, a lot of them I had never heard of and were women," says 6th grader Roxanne S., who dressed as Barbara McClintock, a geneticist from the 20th century who discovered jumping genes. "It is exciting to learn about their contributions to whatever field they worked in, and to know there is a woman I can look up to for that." For the project, students must read a biography and other online resources about their scientist. Students then write an outline that details the person's history, achievements, and his or her lasting impact in science. After the outline is completed, students put together costumes (with help from The Northwest School theatre department) and collaborate in groups of three or four to write scripts for the tea party scene. Each scene must reveal through dialogue when and where the scientist lived, major achievements or discoveries, lasting legacies, and connections that exist between the conversing scientists. The project is a combination of developing researching and writing skills alongside the discovery of what it means to be a scientist. To introduce the project, 6th grade science teacher Erica Bergamini asks students to sketch a typical scientist, and many students draw a person in a white lab coat working with test tubes. "It is an exercise in identifying the difference between typical and stereotypical," says Erica. "The people we have most commonly heard about, the list of great scientists, are mostly white men in laboratories. This project tries to alter that viewpoint." Erica has found inspirational figures from many sources throughout the years. This year, she turned to The Historical Heroines Coloring Book, a book on pioneering women in science from the 18th and 19th centuries written by NWS alumnae Elizabeth (DeFeo) Lorayne '02. Erica included Ynés Mexia, a Mexican-American botanist, whom she discovered from the book, as one many scientists students choose to research. 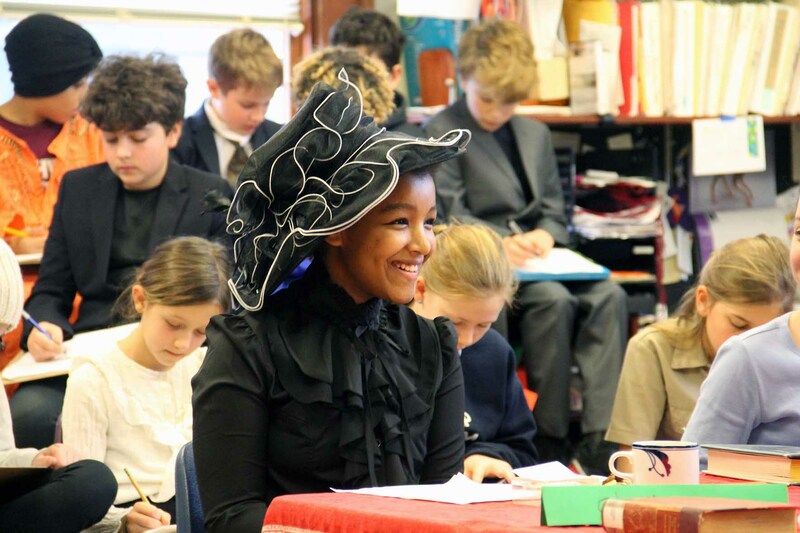 A student adopts the life of Madame C.J. Walker, an entrepreneur, philanthropist, and political and social activist, who many considered the world's most successful female entrepreneur of her time. Madame Walker was born in 1867 and died in 1919. 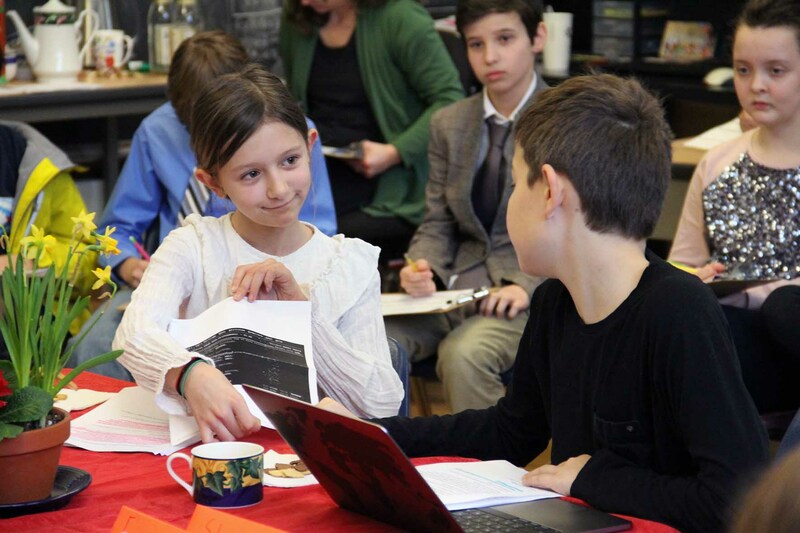 During the Tea Parties, students take notes on each group's conversation, specifically noting major accomplishments or lasting legacies of each scientist. As part of the Tea Party conversation, students are required to bring in an artifact from their scientists life. 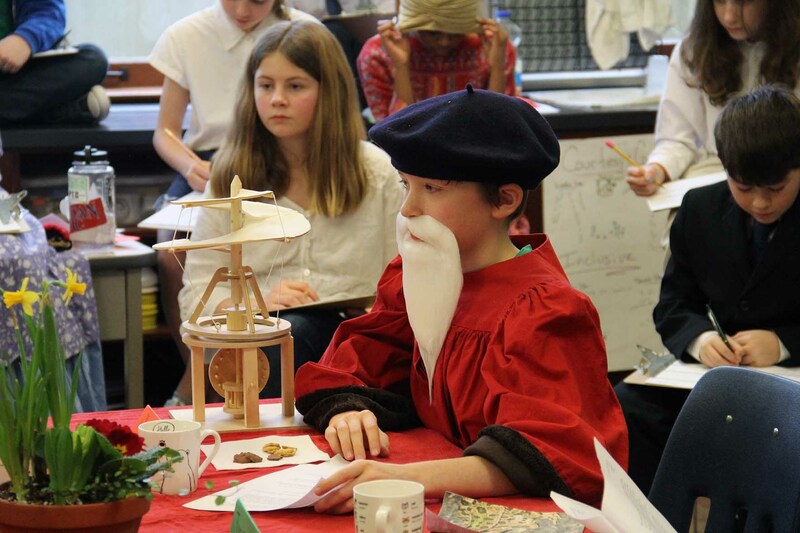 Here, a student dresses as Leonardo Da Vinci. The project helps open students' eyes to some lesser-known inventors and scientists. In this photo, a student dressed as Grace Hopper, one of the first programmers of the Harvard Mark I Computer and a pioneer of early computer programming, converses with a student dressed as Steve Jobs, the founder of Apple.